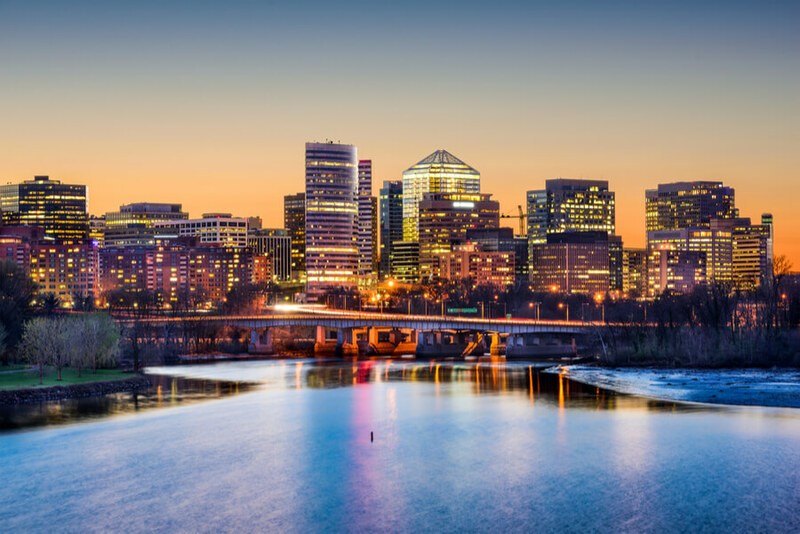 Phoenix Program in Virginia, one of the locations offered by Phoenix House, situated in the beautiful city of Arlington, Virginia is a residential and outpatient facility that provides treatment to clients seeking treatment from substance abuse addiction and co-occurring disorders. All programs offered at the facility are well-rounded and structured specifically to each patient’s needs. Treatment plans created are individualized and the duration of stay at the facility is flexible as clients receive treatment at different frequencies. All programs are CARF-accredited and psychiatrists, therapists, and counselors integrate evidence-based treatment modalities such as Cognitive behavioral therapy in treatment as well as, motivational enhancement practices and addiction education. The complete wellness of the client is key and as such plays an active role in the development of the treatment plans. During treatment, length of treatment, progress, goals, and treatment plans of each client is continuously evaluated. Other services offered to clients include relapse prevention, case management, family, individual, and group counseling, recovery management, and many more. Clients in treatment are encouraged to complete their education by enrolling the GED preparation programs offered at the facility as well as, vocational training and assistance in job placement. Mental health services are offered as well to clients as it is believed that substance abuse and mental health issues go hand-in-hand. The facility believes in healing both the mind and soul and as such serve clients despite their experience with substance abuse or their status. The outpatient treatment program offers both outpatient and intensive outpatient treatment to clients suffering from mental health and chemical dependency issues. This program offers flexibility, unlike the residential treatment which involves 24-hour supervision. Treatment approaches commonly used include recovery management, individual and group therapy, relapse prevention meetings, and many more. Phoenix House typically costs $5,600 for a 30-day treatment at the facility depending on the level of care and the kind of treatment the client will receive. Financial Options, as well as Self-pay, are available to clients who require such. Major cards such Mastercard, Discover, Visa, and more accepted for payment. Insurance providers accepted include Blue Cross Blue Shield, ComPsych, Multiplan, Aetna, Value Options, Virginia Premier, and many more. All programs offered at Phoenix House is accredited by the CARF (Commission on Accreditation of Rehabilitation Facilities). The treatment center is an in-network provider and as such accepts multiple insurance plans as well as Medicaid. Sliding scale mode of payment is also offered to clients making Phoenix House a go-to affordable option for treatment. Family therapy sessions are available and the facility encourages loved ones of clients to take advantage of all visitation privileges and sessions, as family involvement is a key part of treatment. Guardians of clients under the age of 18 will get regular updates on the individual’s progress and involvement. Family members can contact the facility or staff member if there is an urgent need that needs to be brought to the client’s attention. With a 75% success rate in helping clients retain and maintain a sober life, the treatment center is a good option for clients seeking treatment at an affordable rate. George holds a Bachelor’s degree from Argosy University majoring in Psychology and a Master’s degree from the Capella University in Psychology as well. He holds an associate degree in chemical dependency counseling and oversees the maintenance of the facilities. Itunu holds a Master’s degree majoring in Nursing from the Loyola University and served as a Nurse Practitioner in Washington D.C. Department of Youth Rehabilitation. She is passionate about treating men, women, and adolescent suffering from co-occurring disorders. Pattie holds a Bachelor’s degree from James Madison University majoring in Health Education and a Master’s degree from the University of South Carolina in Public Health. She is certified to practice substance abuse treatment and has over 25 years of experience helping individuals find recovery from substance abuse addiction.